The true successor to last year’s high-selling Nova 2i is no doubt a monster package. The Nova 3i does everything I want my smartphone to do. The phone looks premium, and the in-hand is unlike any other smartphones in this price range. Thanks to the metal and glass body, the Nova 3i appears and feels like a premium flagship. But, the glass is a fingerprint magnet and is prone to smudges and scratches. 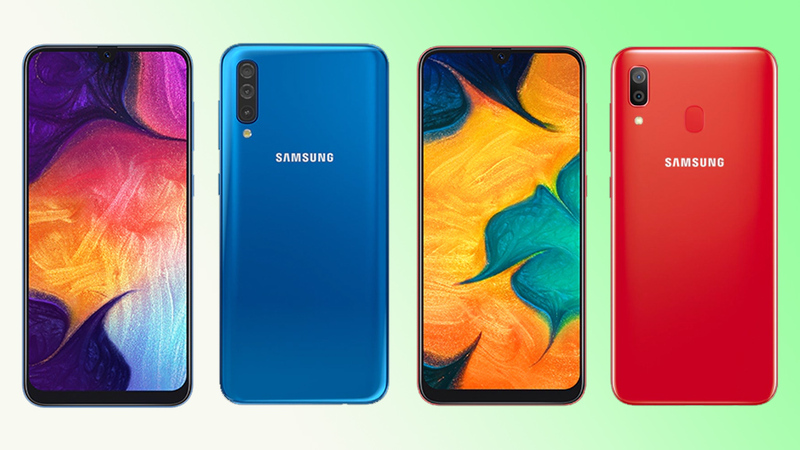 The notch present in this phone is way bigger than that of the Nova 3e. The Face Unlock is fast but the rear fingerprint scanner is placed too high for easy access. 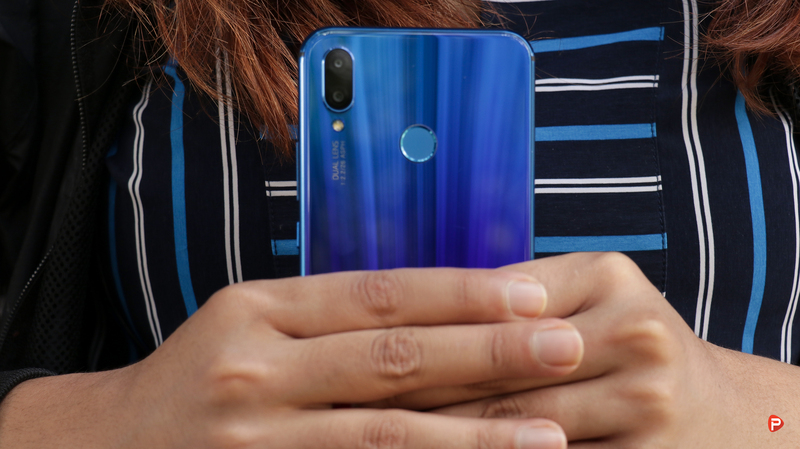 With all that, is the Huawei Nova 3i the best mid-tier smartphone that you can buy under Rs.40,000? Is it worth the price? Well, let us find out the answers to these questions in this full review. A quick disclaimer! 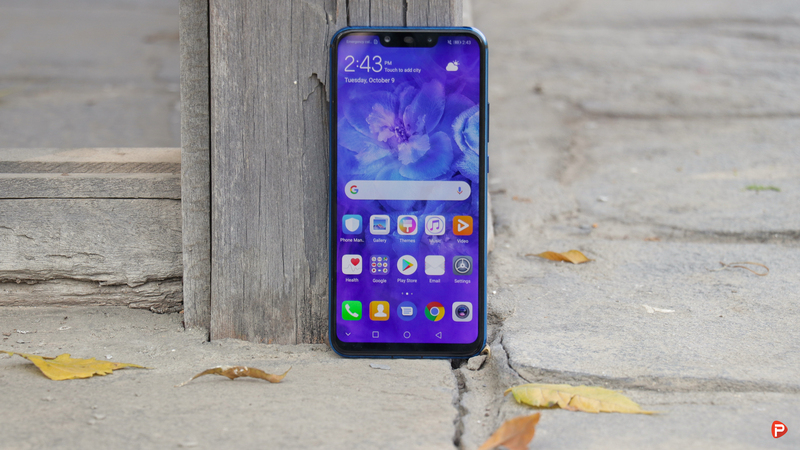 Before we get into the review I would like to mention that I have been using the Huawei Nova 3i for more than a month now. Unlike other reviews, this one is going to be purely based on my experience and how the device held-up in the above mentioned time span. So, without wasting your time any further, let’s get started! No one can deny a fact that the design of the Nova 3i looks appealing. The metal and glass body design feels premium in hand and the Iris Purple color variant is very eye-catching. Whenever I took the phone to a crowd, people jumped-in to ask which device it was. And there was no one who didn’t like! The only problem is you’ll need to cover this beautiful thing in a well, cover, as soon as possible. The Nova 3i is extremely slippery and also the size is way too big. The size actually depends on personal preference but carrying this huge slippery phone outdoor is a bit too challenging. A ‘bad luck’ and your glass beauty could be a creepy cracked beast. Don’t worry, as you will get a starters TPU case inside the box! This case will protect your phone to some extent but will hide the elegant beauty of this phone. A glass back is prone to smudges which you can clean anytime you want. You can also protect it from drops, handling it carefully, but how will you avoid scratches? 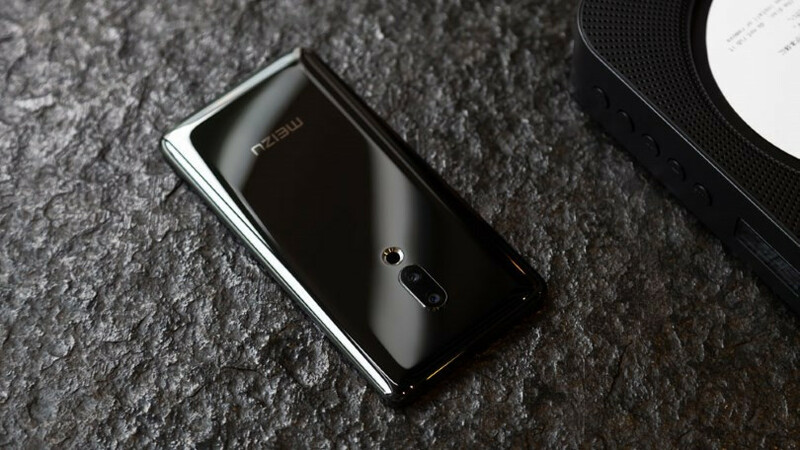 It’s again a call for a casing, which means you will have a hard time showing off the beauty and protecting it at the same time. I have been using the phone without any case or a screen protector to test the durability. And so far, the phone only has some small scratches at the edge. So if you want your phone to look brand new for long, you better get a protective case. Moving on, a fingerprint sensor sits on the back of the Nova 3i, in a regular position, as seen on most Android phones. But since the handset is tall, the fingerprint sensor is sometimes difficult to access with one hand. 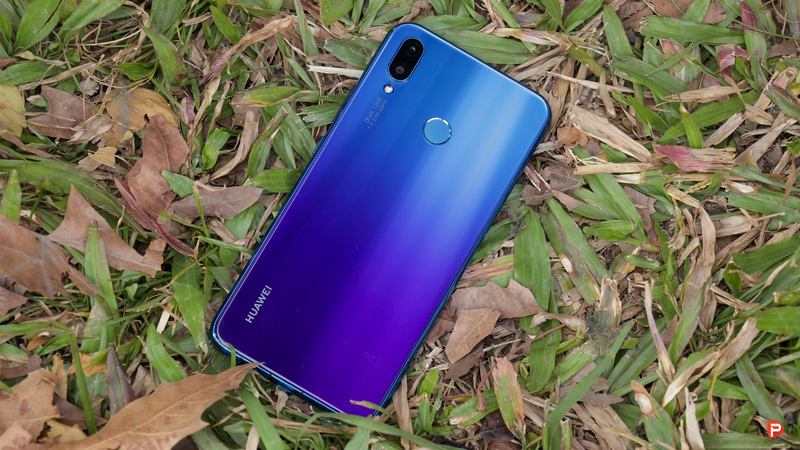 The Huawei Nova 3i weighs in at 169g. With dimensions set at 157.6 x 75.2 x 7.6mm, it is pocketable and can be used with one hand. The display is another highlighting factor of the phone. Although it’s a toned down version of the Nova 3, the design is more or less kept similar. 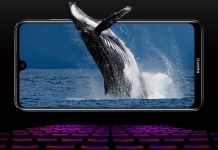 The 6.3-inch IPS LCD panel has a Full HD+ resolution. Despite being an IPS display, it is pretty vibrant with a variable scale of brightness. The images are sharp, colors are good, and viewing angles are excellent. 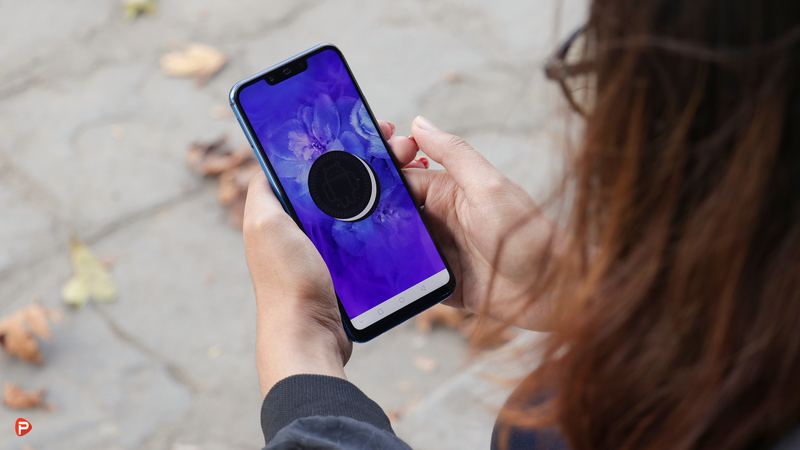 Although the notch does not have the iPhone X-like high tech camera array, it’s still quite broad because of the dual camera setup. While playing YouTube videos or playing games like Asphalt 8/9, Tekken or Clash Royale, the notch is hidden automatically by a black bar. But the notch eats up some space while playing PUBG. You can, however, play it by rotating the screen of the phone. We hope Huawei will solve this issue soon! 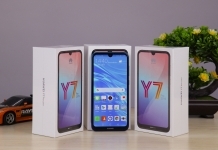 The 82.03% of screen-to-body ratio seems almost bezel-less but that doesn’t mean Huawei has used the extra space very smartly. There’s a noticeable chin at the bottom, but it’s also among the thinnest on phones of this range right now. Watching YouTube videos and firing up a quick game was a pleasant experience on this device. The 19.5:9 aspect ratio that the phone packs, translates to a tall display with narrow bezels. The camera of Huawei Nova 3i takes pretty great photos for a phone of its price range. The total set-up involves four cameras: two at the front and two at the back. The primary rear camera is a 16MP sensor while the primary front camera is 24MP. Both are augmented by a secondary camera of 2MP. This setup is intended to deliver sharper, natural snaps in general as well as portraits with more depth of field in particular. 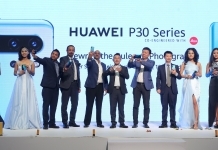 The Huawei Nova 3i camera comes with an AI integration. The idea behind the AI camera is that even a novice photographer can take some fancy shots as the AI recognizes what’s happening in the shot and adjusts the settings accordingly. Huawei calls this scene recognition and I was keen to try it out. The camera samples are good but the AI is still not up to the mark. The AI did recognize objects in my shots such as “sky” or “plant” and dutifully told me so. And the resulting photos were a little more detailed and vivid than comparison shots I took with the AI switched off. The photos were a bit more saturated with AI Mode turned on. Eventually, I think AI feature is nice to have but it didn’t wow me. The camera delivers impressive photos in daylight with good details and even does good edge detection in portrait shots. 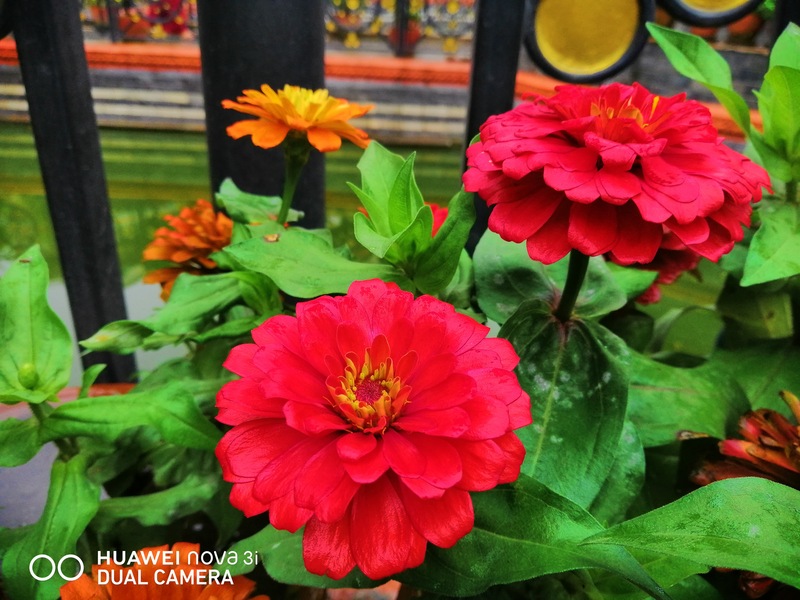 The edge detection is much better than that of the Nova 2i. 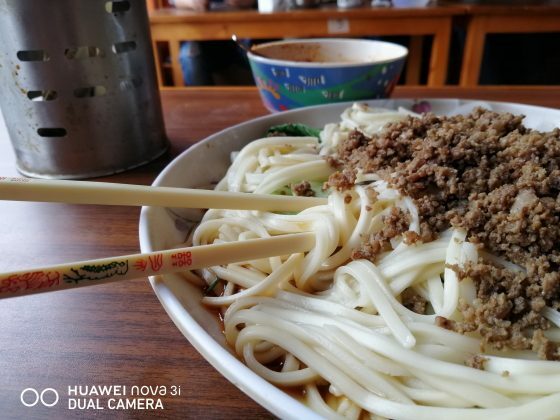 This time, there are some extra AI features that come with the camera’s portrait mode. These include 3D lighting, beautification, and portrait shots. The portrait shots are good most of the time, but under low lighting, results are not as expected. I also loved the selfie portraits, as it was sharp and better, if not the best. Honestly, the 3D lighting settings didn’t any exciting differences to my selfies. Some of them, such as the “stage lighting setting” and the “classic lighting setting” just made the background entirely black and blurred out a lot of my hair. The beautification setting comes with adjustments to a scale of 0 to 10. When I dialed the thing straight up to 10, I was confused about whether the photo was mine or some Aliens. The photo came with a pale flesh-mask for a face and creepy glistening eyeballs. It also, again, blurred out random sections of my hair. When I got the beautification setting down to about 3, it did make my skin look a bit smoother and less blemished than normal. Again, this seems like more of a nice to have feature rather than something that will change your selfie game entirely. 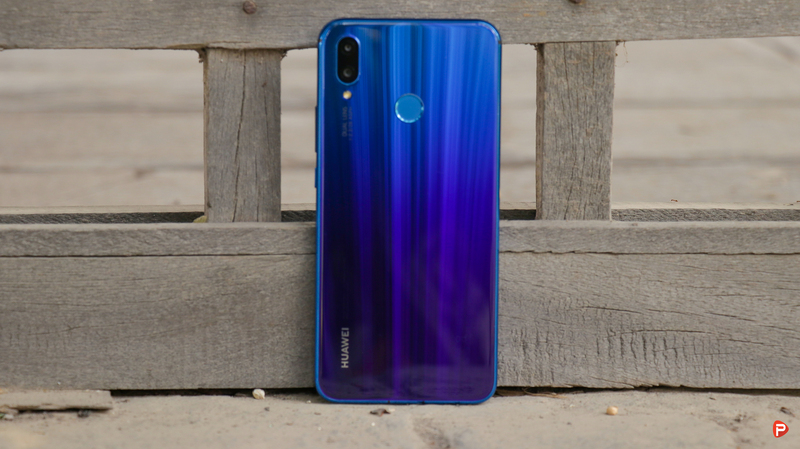 The Huawei Nova 3i runs Android 8.1 Oreo with Huawei’s custom EMUI 8.2 on top. Like every other Chinese smartphone, the Nova 3i doesn’t come with an app drawer by default. You can, however, find the option to enable it under settings. Since I am not a guy who is a big fan of Stock Android, I had no issues using this device. This UI also has support for themes, and you can customize your phone to your preference. 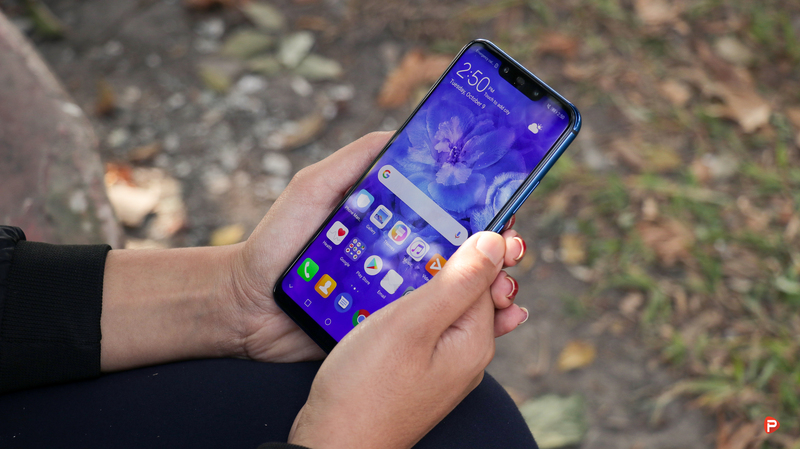 You can also find some apps preinstalled, like Google apps, Facebook, Messenger, and some of the Huawei’s own. Like several other smartphones with tall screens, you have the option to switch to gesture navigation. This needs some time to get used to. However, the full-screen gesture on Xiaomi phones, for me, seems much better. There’s also a face recognition feature that uses the selfie camera to scan your face and unlock the smartphone. It isn’t the fastest but gets your job done. 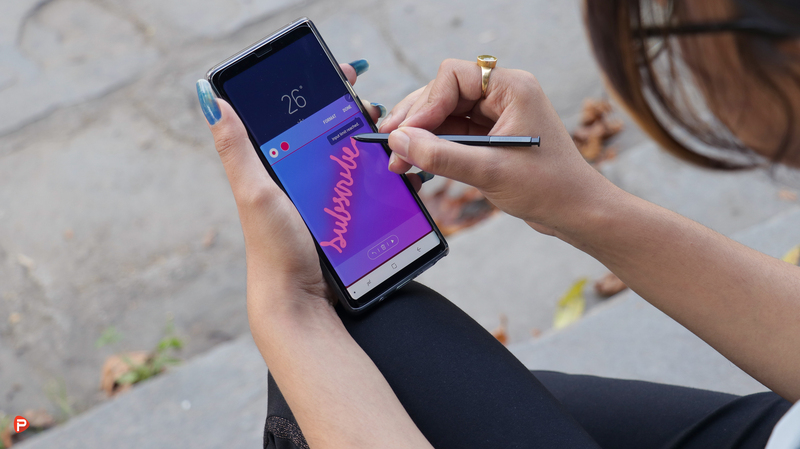 There are features like Voice control and Motion Control that help you interact with the phone using gestures. 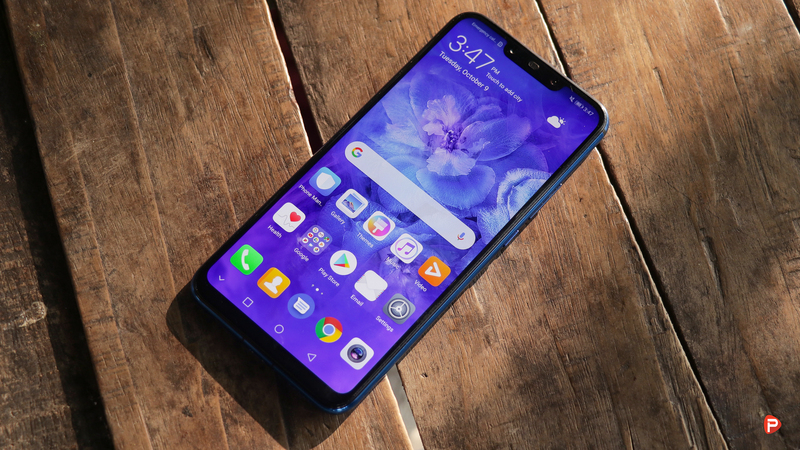 The Huawei Nova 3i delivers a solid performance that should be enough to satisfy most everyday smartphone users. The AI camera won’t wow you, but it definitely does make the photos better. And anyone who likes to just point and click a photo will be able to appreciate this. In term of sound quality, the in-ear voice call speaker is loud and clear but the loudspeaker volume output is not up to the mark. However, the sound output is clear and satisfying. Normal operations such as scrolling through social media are smooth. Thanks to the 4GB of RAM, the phone does not kill apps in the background saving some reload times and making it easier to multitask. We played Asphalt 8, Asphalt 9: Legends, Tekken, Clash Royale, and PUBG, which fine without issues at their default settings. PUBG is set to Medium graphics by default and was playable. We bumped it up to High and found it to be a little choppy but playable. Asphalt 9 had good graphics at the default setting and didn’t stutter. We observed that the phone tended to heat up when we started gaming on it. The phone got even hotter to the touch as we kept playing. The 3340mAh battery was able to get me 5-6 hours of screen-on time with my medium to heavy usage of the phone. With the power-efficient Kirin processor and optimized software, the battery life of the phone is commendable. The Nova 3i did seem to keep idle battery drain quite low, and there are multiple battery saving modes as well as a smart resolution option that lowers the screen resolution to HD+. With our usage which consisted of watching YouTube videos, playing mostly PUBG and social media surfing, we were still left with some power at the end of a full day. 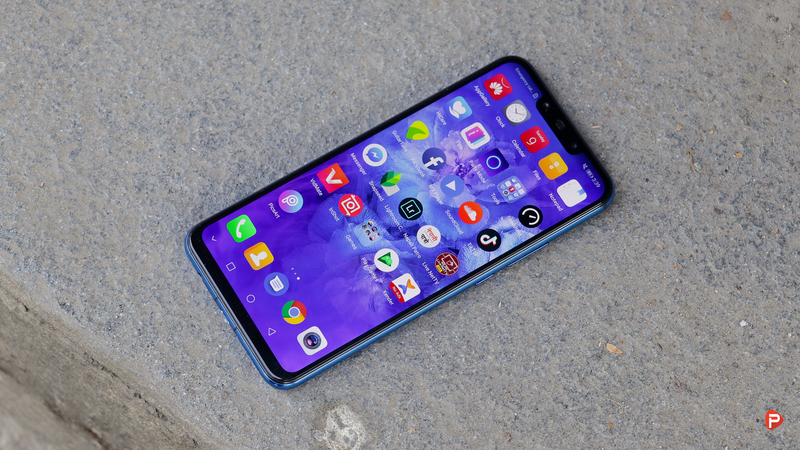 Huawei, with the Nova 3i, is taking on the current trend of providing a phone with a notch. I am not a notch lover but after using this device for a month, now, I have no problem with a notch. However, I feel that the optimization of the notch is still lacking for some apps. I hope Huawei will push an OTA update to solve this issue soon. Besides that, there is nothing else to complain about the Nova 3i. The phone looks gorgeous and I can’t stop gushing about its in-hand feeling. The UI, however, needs a bit of an optimization as Kirin 710 is capable of more. Overall, the Nova 3i is a great option for users who want a premium looking mid-range device with great cameras. For a price of Rs. 38,900 the Nova 3i is a good, if not the best, mid-tier smartphone in the market right now. 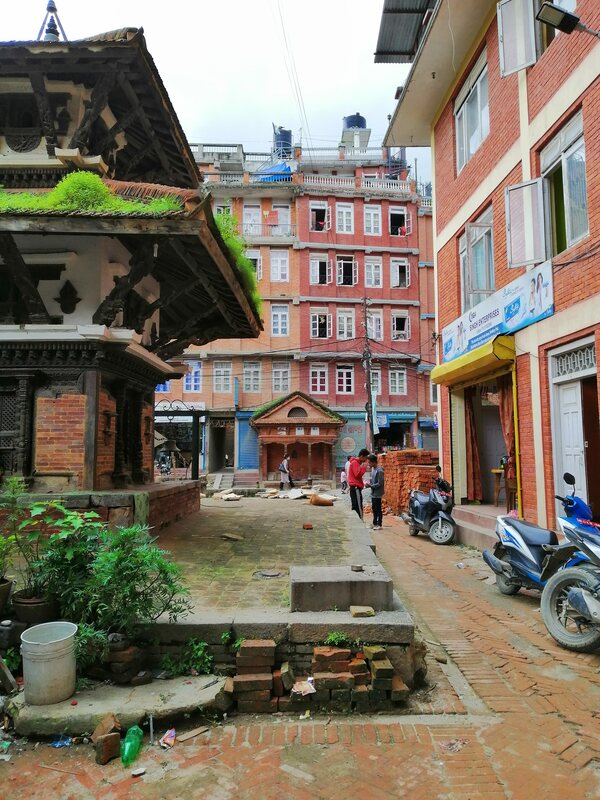 Thank you for reading Huawei Nova 3i review in Nepal! If you have any questions regarding the phone please feel free to drop them in the comments down below. And for more tech reviews like this, like our Facebook page and also visit our website regularly. Please also subscribe to Phones In Nepal Youtube channel for awesome unboxing, hands-on, review, tech news, and tips and tricks videos.